Delivering spacecraft to their optimal orbits with Moog COMET and SL-OMV. See one of the hottest new hydraulic products - the Integrated Smart Actuator for robotics applications. It integrates a servo valve, actuator, controls, sensors and software in one package. 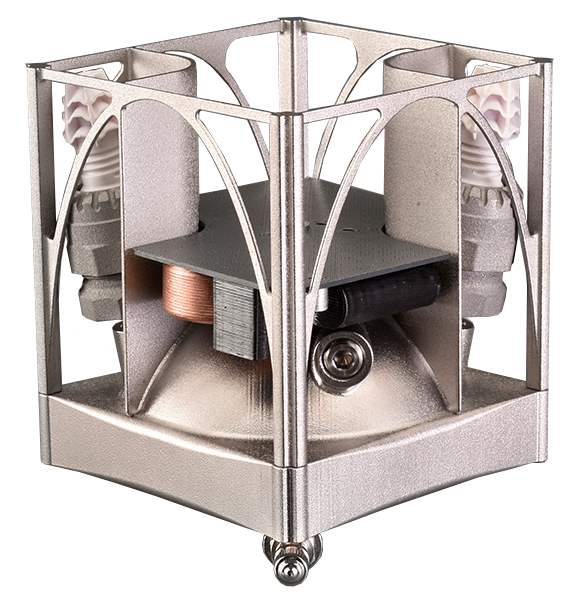 Designing innovative slip ring solutions for medical imaging to improve patient care. RIwP (Reconfigurable Integrated-weapons Platform) offers multiple weapon options guaranteeing tailored overmatch in every combat situation. See Moog technologies on both variants of the Navy’s newest class of warship: the Freedom-Class and Independence-Class. Supplying superior engineering and advanced technologies for over 65 years. Designing innovation motion solutions for Floating Production Systems that operate in extreme environments. We have designed and manufactured components and systems for satellites and launch vehicles for over sixty years. 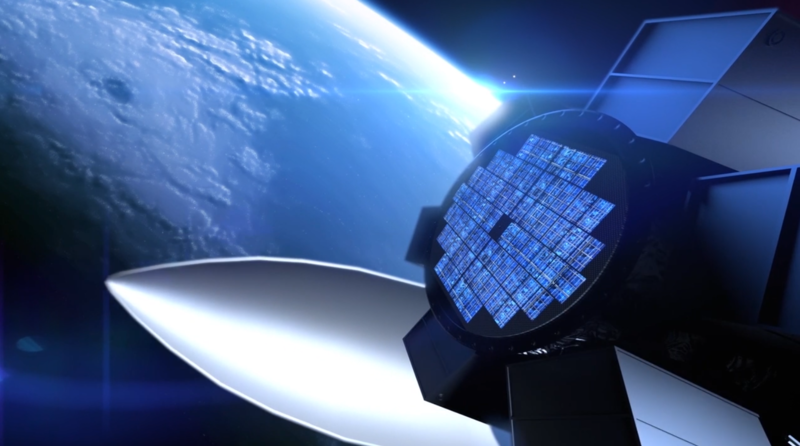 We continue to make significant investment in propulsion facilities, metal additive manufacturing, avionics and innovative in-space delivery systems. Simulation and Test customers seek to attain higher levels of fidelity and maximize availability. We can help to achieve efficient operations with reliable and smart solutions. Find out more about our high performance motion control products, solutions and services and how we can collaborate with you to take your ideas to the next level. Look to reliable value-added Electric Multi-Axis Test Systems: Moog door closure test systems play a vital role in measuring vehicle durability and quality. Electric Multi-Axis Test Systems provide precise and repeatable position, velocity and force and record it all to provide reliability and confidence in test results. 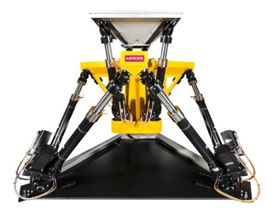 The patented 8-DOF (degrees of freedom) Moog test system is comprised of a 6-DOF Electric Simulation Table with an innovative extra 2-DOF tilt table on top for large angular pitch and roll motions up to 30 degrees. The total pitch and roll angles of the test system exceed 50 degrees. This article explores four case studies where automotive suppliers are successfully using simulation tables. It provides insights on how these companies selected the right technology (hydraulic or electric simulation tables) and customized its operation to meet unique technical requirements and business objectives. Today’s aircraft are flying far beyond their intended design life, resulting in high wear-out rates and increased total life cycle support costs. New and emerging technologies for next generation aircraft can offer solutions to obsolescence issues and offset the escalating costs of maintenance. Click to learn more about our innovative cold spray repair services for Aircraft, Industrial, Space, Automotive, Naval and Rotorcraft. A leading global supplier of motion control and electronic solutions, Moog meets the demands of today’s military operations with components, integrated subsystems and full systems for air, land, and sea platforms. 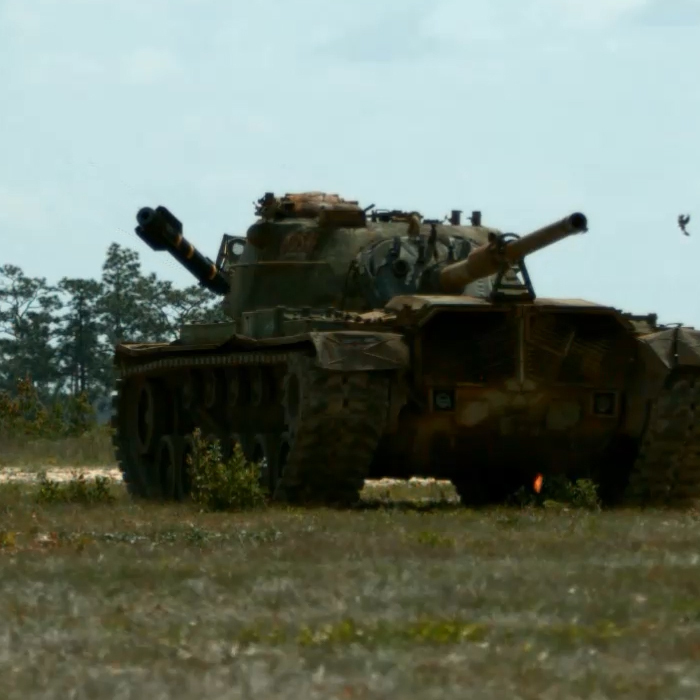 Our solutions address the Warfighters’ needs for survivability, maintainability, lethality, and less than lethal applications. Battle proven and innovative technologies provide new offerings for more efficient systems with lower operations and maintenance costs. Moog products are essential to the survival of the warfighter. It’s imperative that our products work right the first time, every time. Moog’s Reconfigurable Integrated-weapons Platform (RIwP) is a key part of Leonardo’s Mission Equipment Package. Leonardo DRS down-selected to provide U.S Army with IM-SHORAD prototypes. Manufacturers of industrial machinery seek to achieve higher productivity, premium-quality products, and maximum energy efficiency, all at less cost. Find out more how we can collaborate with you to differentiate your next generation machine with our high performance motion control products, solutions and services. 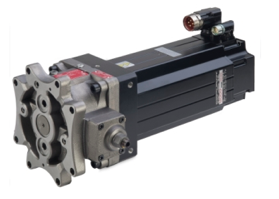 ‎The Moog EPU is at the heart of electrohydrostatic actuation and combines the advantages of both hydraulic and electro-mechanical actuation technologies in a self-contained product, delivering a high degree of energy efficiency and environmental cleanliness. Best of all the EPU eliminates the fixed cost of the hydraulic system infrastructure. 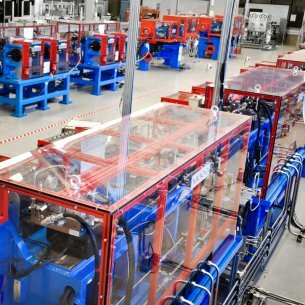 A leading manufacturer of ring rolling mills developed with Moog a new Electrohydrostatic Actuation System for its next generation machines. Compared with conventional machines, the modified axes in this machine used up to 40 percent less energy. The new design reduces piping, the quantity of oil and and the machine footprint. Thus, the customer saves a substantial amount in operation and installation costs. In the world of packaging machinery, flexibility and performance is the goal -- while designing a machine that requires minimum space. Decreasing downtime is also critical to increasing productivity and delivery. As packaging machines become more complex and interconnected, there is a need for both standard and custom motion control solutions on the various axes of the machine. Packaging equipment requires high performance solutions for transferring power and data across rotating interfaces. 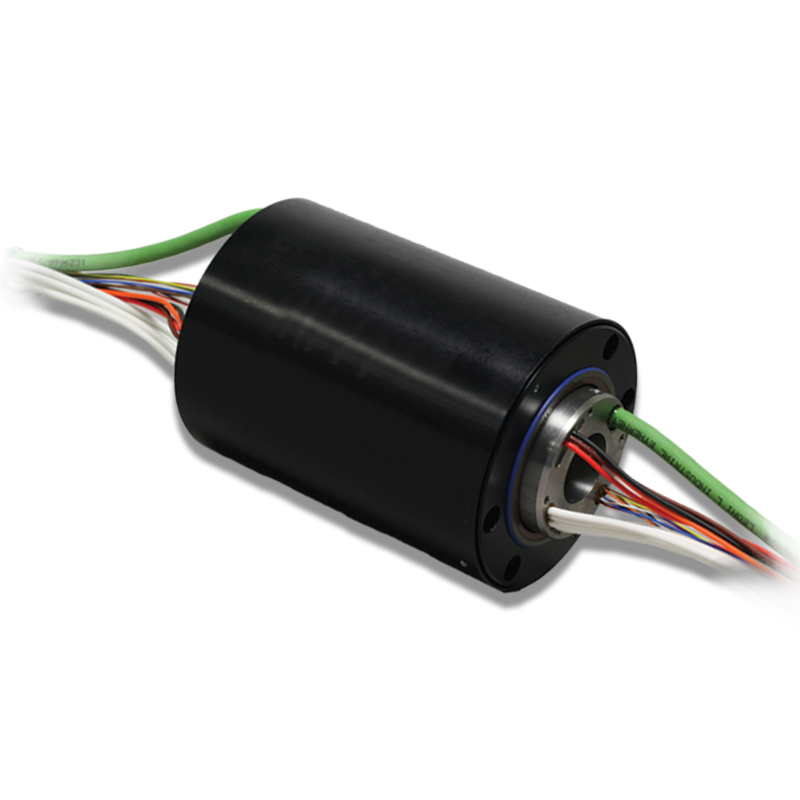 Moog offers slip rings that have been developed for Ethernet data communication networks. Models are available in capsule and through-bore configurations and multiple Ethernet, power and signal combinations. Moog’s Ethernet slip ring solutions have been developed to provide reliable products to allow transfer of the Ethernet protocol through a rotating interface. The innovative designs meet the challenge of matching impedance, controlling crosstalk and managing losses. Download our white paper to learn about the issues present when a rotary connection is inserted into the 100BaseT transmission line. 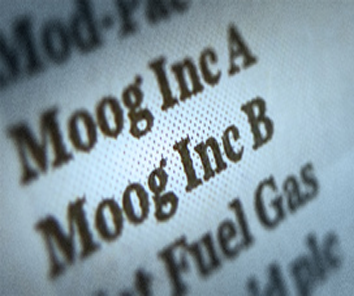 Stay up to date with Moog Inc. as we continue to lead and innovate! EAST AURORA NY – Moog Aircraft Group has been awarded a contract by The Boeing Company to supply the Wing Flight Control actuation and Wingfold actuation systems for the MQ-25 unmanned refueling program. Moog Industrial Group has enlarged and completed its product range of Electrohydrostatic Pump Units (EPU) with the addition of a size 140 cc EPU that will help customers address a wider range of applications.This new product will offer the same high levels of efficiency while also having high force capability as the existing product family. Introducing Quick Connect. We can provide you with a fast response via form, email, phone call, or live chat.